These apple pecan biscuits are the perfect way to welcome autumn with fresh apples, pecans, and cinnamon. Not to mention, they are easy and taste spectacular. 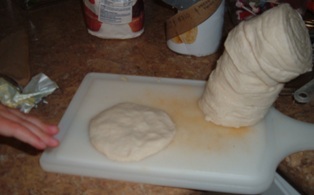 Next, flatten your biscuits into a 5 inch circle. This depends on how big your biscuits are that you bought. I did find out that the thinner they are the easier they are to fold. 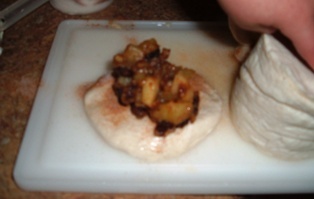 Combine the remaining cinnamon and sugar into a small dish. Sprinkle into each flattened biscuit. 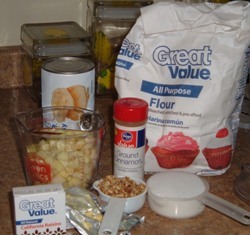 Add in 1/4 cup of the apple mixture to each biscuit and bring edges to enclose. 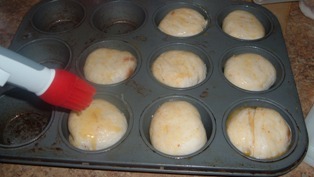 Place the seam side down into ungreased muffin tins. 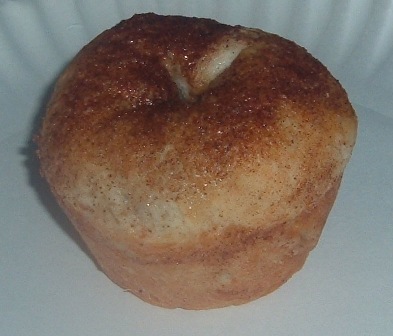 Brush the tops with butter and sprinkle additional cinnamon sugar mixture. With a sharp knife, and a butter knife does not work on this, make an "X" at the top of each biscuit. Not just a little slit mind you and make sure you cut all the way through the biscuit. 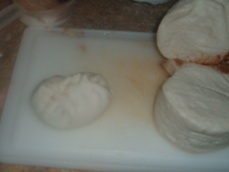 Then, bake at 350 degrees for 16 minutes or until brown. Cool before removing from pan onto a rack. We loved these, they were simple, and even my 3 and 1 year old loved it!! IT'S YUMMY! !